“The Lone Ranger” is said to have cost over $200 million, over $225 according to some guesses. Plus marketing. So it pulling in an otherwise robust $47 million since July 2-3 through Sunday night is…disappointing. In a big way. With Disney looking at a cartoon “Planes” in August and not seeing all that much from “Monsters University,” there is no joy in Mousewitz. 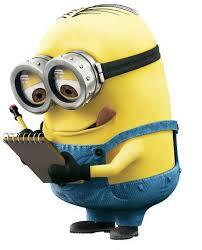 But “Despicable Me 2” has blown the box office up this long holiday weekend — $140 million, U.S., $200+ worldwide. Millions more for that Minions sequel that’s in the works. Kevin Hart’s half-hearted “Let Me Explain,” sort of a victory lap for being the king of big venue stand up tours at the moment, looks to pocket $17 million, Wed-Sunday. Very impressive for a cynical, under-written and overpriced short concert film. It all adds up to a Batman-beating/Spider-Man swamping July 4 weekend for the record books. Wow.